* Preppy style concise exterior, 2 everlasting vintage-looking colors, smart casual fits for all occasion. * Top-grade PU construction, precise seam at each corner with the highest Japanese manufacturing standard. * Plenty space to hold a ton of stuff for school and daily necessities such as textbooks,calculator, a lunch boxes, gym clothes, cell phone, portable chargers, MP3 player, etc. 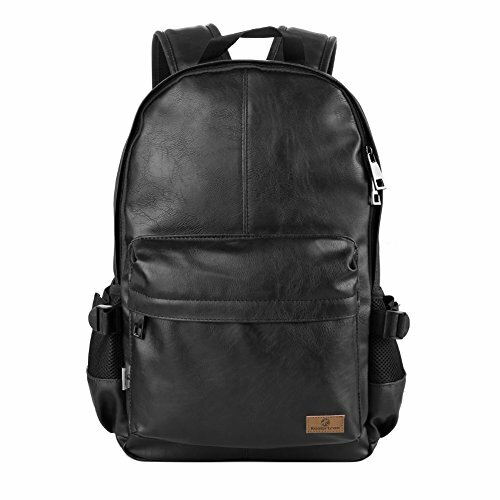 * Nicely for school and camping, also apply to working, shopping, 3 days trip, traveling, hiking, walking, gyms etc. * As measurement ways are different by different people,so the size as mentioned maybe have 1-3cm difference of each bag.